Meet Me at Thai Festival TO & Van! Question of the month: What's the most innovative food technology you've seen recently? Earlier in June I went back to Thailand and had the opportunity to once again visit THAIFEX, the biggest food trade show in Thailand, and one of the biggest in all of Asia. 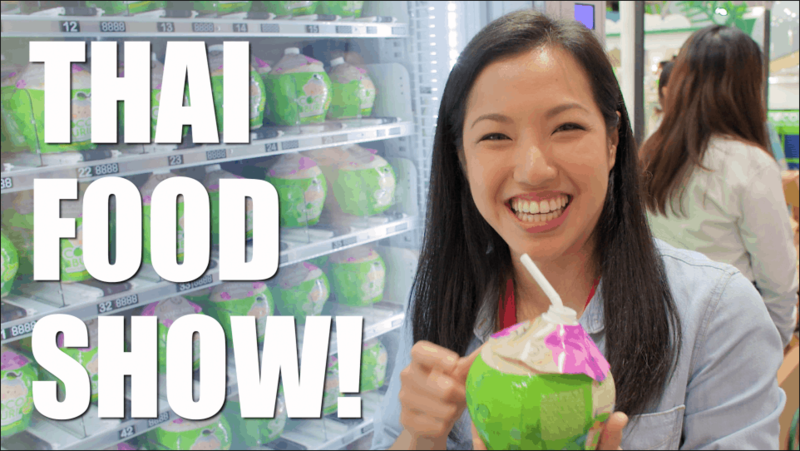 It’s an absolute heaven for foodies…I was once again blown away at all the new and interesting food innovations I was exposed to, like a young coconut with a twist top, deep fried mangosteens, freeze dried mango and sticky rice…and so much more!! 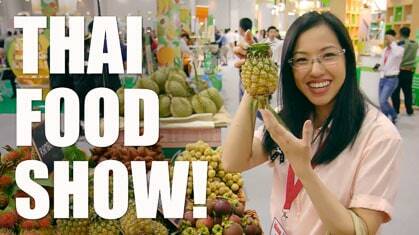 And YES lucky for you we filmed highlights of this year’s THAIFEX and made it into a video, check it out right below! If you missed last year’s THAIFEX video, make sure you check it out right below, as it was just as awesome! Would love to hear from you: what’s the coolest, most interesting food innovation you’ve seen recently? P.S. HAPPY CANADA DAY for all of my Canadian viewers!! MORE CONTENT FROM ME ON INSTAGRAM TV! If you're not familiar with IGTV yet, it's a place where people can upload vertical videos of up to 10 minutes, and unlike Ig Stories, they won't disappear and you can go back to find it whenever you want (yay)! I'm excited about it because it's the perfect place for more quick-and-casual videos, and a place I can engage with you at a more personal level. Are you in Toronto? If so, come out to see me on July 14th at the "Destination Thailand" a Thai festival at Dundas Square! I'll be doing a couple of demos, one at 12:30 pm and one at 3:00 pm. Come enjoy the festival if you're in town, and if you have my book and want it signed, bring it along! In Vancouver, the Thai Festival will be the July 21-22 at the Vancouver Art Gallery, I don't have any scheduled events but I will likely be hanging out there on the 21st (probably lunch time), so come enjoy the festival and say hi if you see me! 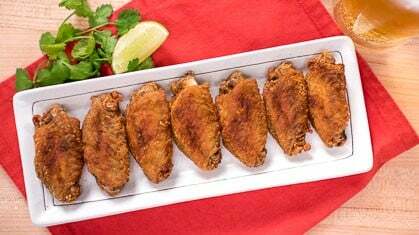 Fish Sauce Wings - 3 Ingredients Only! Sour fruits are no longer a bummer, but an opportunity to dip them in this sweet, salty, umami dipping sauce. So yum! 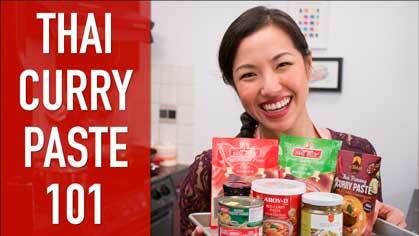 How do you choose a good curry paste? What IS a curry paste anyway? In this video I answer all of these questions and more. 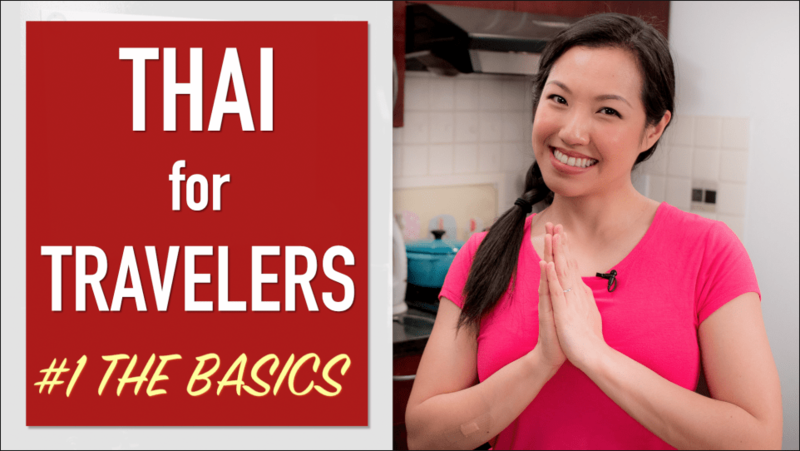 Several people have asked me to do a Thai language lesson, so in this video I'm starting with some basics to get you by in Thailand! 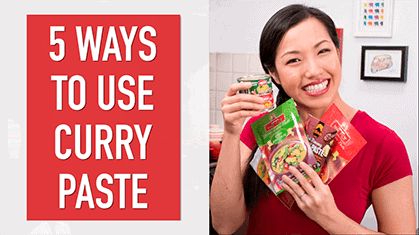 So you have curry paste, and of course you use it for curries...but what else can you do?SO many different delicious ways. Food Trade Show: THAIFEX 2018! 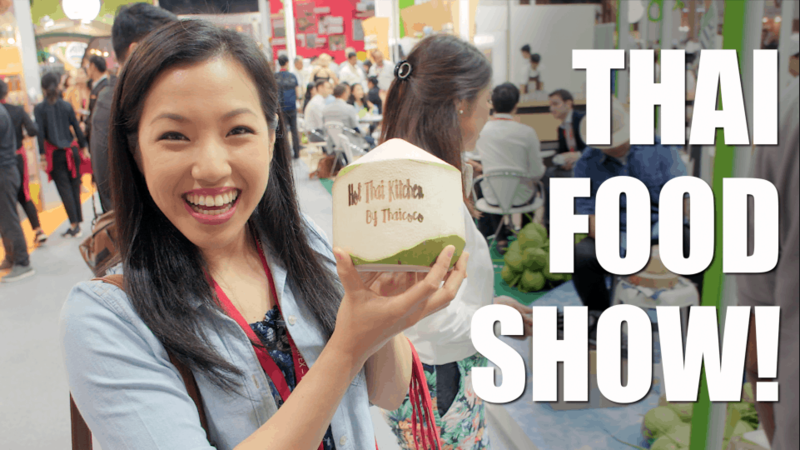 Join me to check out the coolest and newest food innovation coming out of Thailand at the biggest food trade show in the country! Go to Thaifex! Checkout the show! 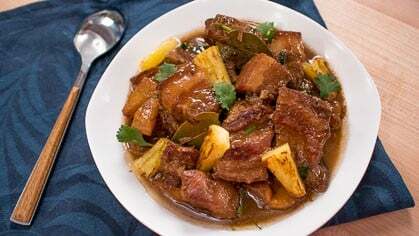 New and improved Filipino Adobo my friends! This time I’m oomphing it up with some coconut milk and caramelized pineapple. Pairing it with fork tender pork belly, it is to die for! Get the recipe. 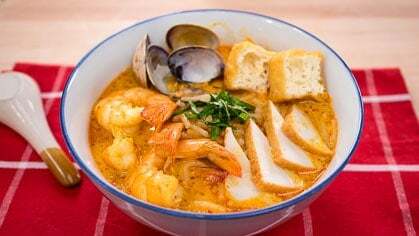 After a trip to Singapore, I fell in love with their laksa which uses a coconut curry broth that is complex, fragrant, and has just the right amount of richness. 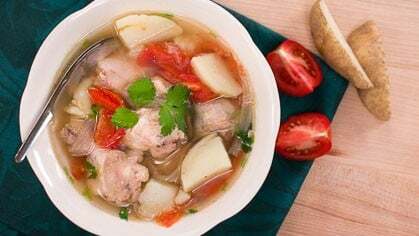 Seafood stock is the base of the broth, and the flavour that comes through is every seafood lover’s dream. Get the recipe. BBQ season is upon us! 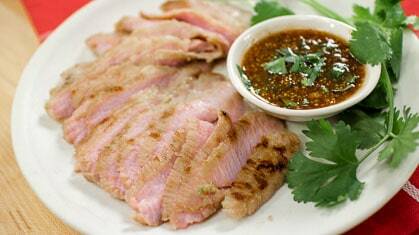 This recipe is an absolute classic when it comes to grilling in Thailand. Pork jowl is a cut that is greatly under appreciated here. It is incredibly flavourful because of the fat that runs through the meat. And that spicy, tart dipping sauce is perfect on any meat! 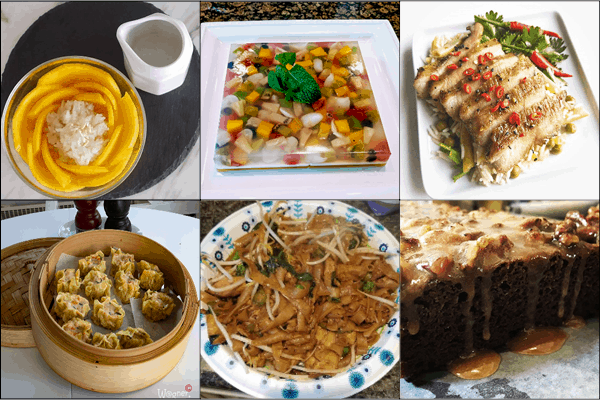 Mango & Sticky Rice by @bakesbyhuda; Agar Jelly Fruit Cake by Nowsheen, Grilled Pork Jowl by @johnwmacdonald; Shumai Dumplings by Henrik W; Pad See Ew by James B.; Mocha Toffee Cake by @tinycusina.